I am very familiar with Bheerhugz, however, I have only patronized the Surulere branch and I go there quite often. My friend and I decided to have dinner one day and I was given the opportunity to pick the place I wanted. The catch was, the venue had to be on the mainland and it had to be exclusive with good food and music. Since I hadn’t tried the Bheerhugz Ikeja branch, we decided to hit up the place. Before I continue the review, I will like to apologize for not taking pictures as my phone battery was dead during this escapade. 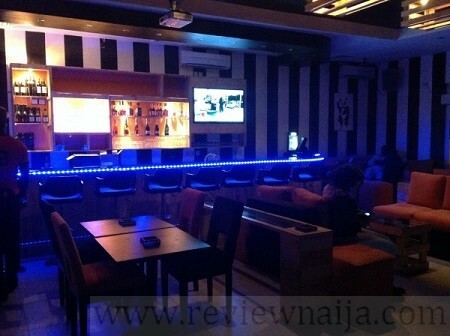 Bheerhugz is a ritzy bar/lounge/restaurant with branches in Apapa, Surulere and Ikeja. My own opinion is that they make the best cocktails in Lagos. #HandsDown. PARKING: There is ample parking inside the Ikeja City mall compound, although I’m not sure how much is charged per hour. AMBIANCE: I thought the decor in the Surulere branch was fine until I visited the Ikeja Branch. The Ikeja branch décor is very beautiful! I like the lightning (even though it’s not perfect for pictures.) The ambiance is suitable for a romantic dinner with bae or late night chills with friends, however, I don’t think it’s perfect for a birthday dinner. The DJ was playing old school jams though…ON A FRIDAY NIGHT! FOOD: My friend and I ordered similar meals. I went for the peppered gizzard and stir fried rice while my friend had the chilli chicken and stir fried rice. The food was DE-LI-CIOUS. We were both impressed. It was quite filling too and very affordable. Bheerhugz food prices ranges from #500 to #4500. Bheerhugz Ikeja menu with prices can be found here. DRINKS: I had a cosmopolitan and a bottle of water while my friend got a bottle of heineken. Cocktails range from 1k5 – 2k5 while beers range from 600 – 800 Naira. SERVICE: The waiters were polite and well informed. They could explain the various dishes on the menu. It took about 45 minutes for the food to get ready and that wasn’t impressive at all. Drinks arrived quickly, however I had to go with my second option (cosmopolitan) because they didn’t have daiquiris. Our bill was 10,900 Naira. We paid with cash although POS is available. We tendered 11k and left the 100 bucks as tip. 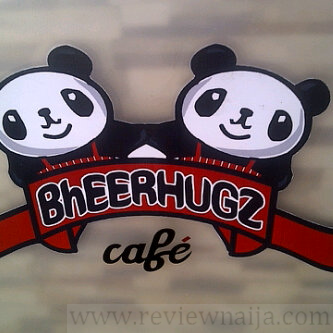 RATING: I rate the Bheerhugz Ikeja location an 8 over 10. The food was delicious and the decor was beautiful, but it took ages for the food to arrive. Really ?? I haven’t tried the apapa branch yet.. Looking forward to it. But the Ikeja branch is very pretty. Hmmmm, same I thought too. 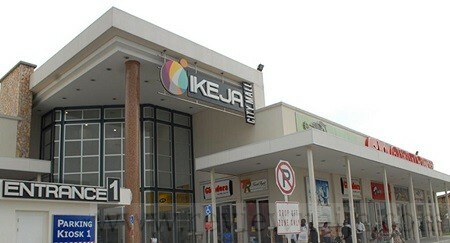 Ikeja is better than the Surulere branch. Maybe because it’s the head office. And then again , the Apapa branch is better than surulere.